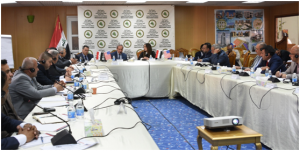 NIC ended the third day of the workshop of supporting the Investment process in Iraq that was held at the NIC premises in cooperation with the US Embassy in Baghdad. 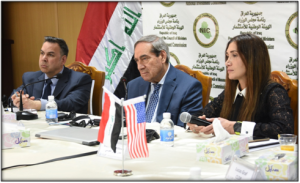 The second and third days of the workshop were dedicated for discussing the activation of investment in Iraqi provinces with the attendance of the heads of the provincial investment commissions. 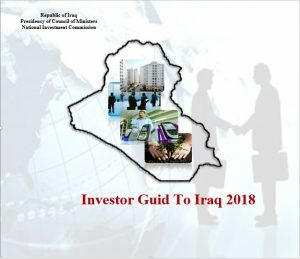 Dr. Al- Araji assured through his opening speech that the Iraqi provinces are fertile lands for investment and owns natural and human resources that enable them of making any investment project succeed, referring to the importance of holding such workshops which aim at supporting the investment process in Iraq and discussing creative ideas that can minimize time to develop investment in the country. 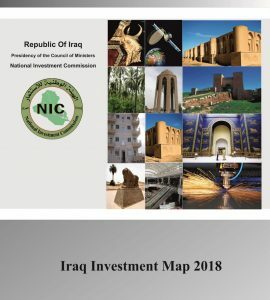 NIC Chairman added that “if capitals are looking for secure environment, then Iraq and after the big victories achieved has become a real secure area and ready to receive international companies to participate in the ongoing investment process in cooperation with the Iraqi private sector that is highly supported by the NIC to participate in the reconstruction process under the umbrella of the investment law and the solid legislative environment”. Ms. Mais Ebosy in her turn, and as a representative of the US Department of Commerce, stated that the role of the US Department of Commerce in this workshop is to enable the PICs to change their local strategies in giving the priorities to the most important economic sector in their provinces through which they can achieve success, in addition to choosing the best investors and provide them with the needed support.